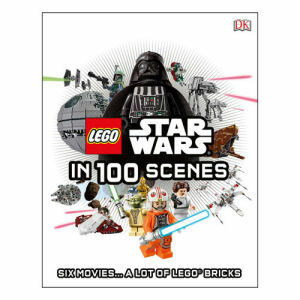 We have Just Sold out of LEGO Star Wars in 100 Scenes Hardcover Book. This Item is unavailable at present. From the Star Wars collection by DK Publishing. LEGO Star Wars in 100 Scenes Hardcover Book. A humorous retelling of the LEGO Star Wars complete saga in this great 216 page hardcover book. Hardcover book measures 11 by 8.5 inches. Ages 8 and up.